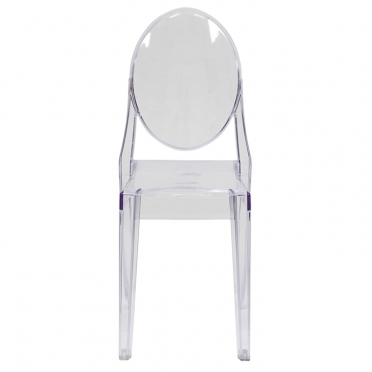 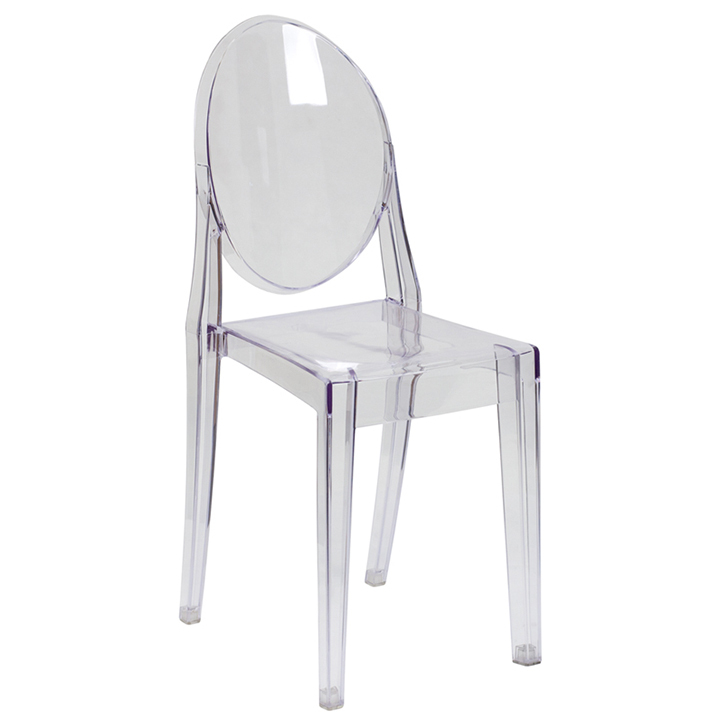 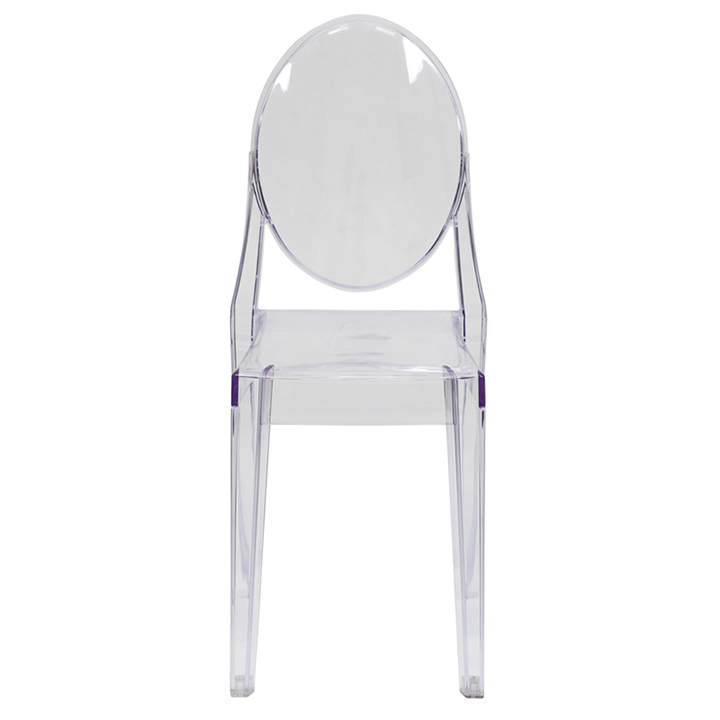 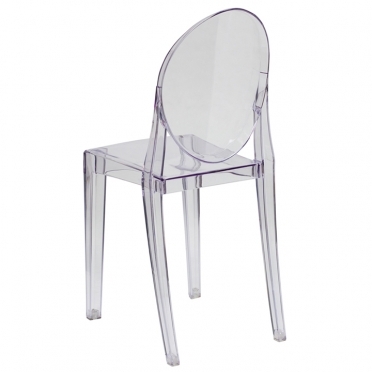 Blending grace and elegance with modern appeal, a clear ghost chair is the perfect addition to an event with a contemporary theme. 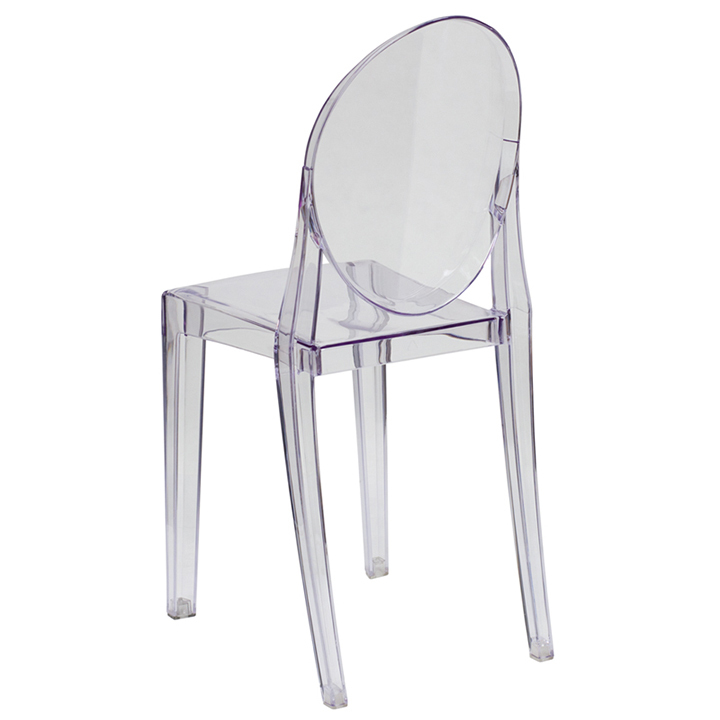 The construction should not be mistaken for flimsy. 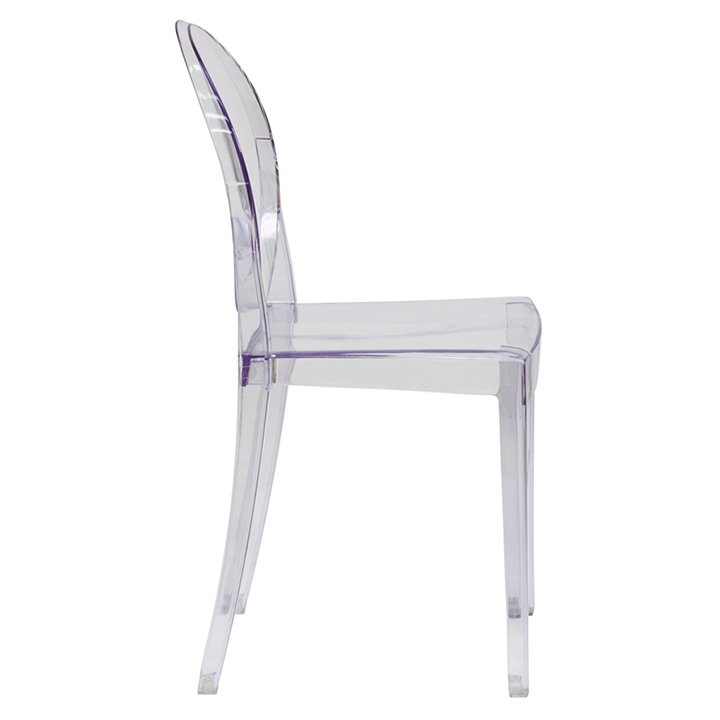 Each piece is surprisingly sturdy and durable and is appropriate for both interior and exterior settings. The scratch-proof and weatherproof material can be piled for easy mobility as well.